Launch of Harmony in Motion! More than 300 guests gathered at the Singapore Flyer on 15 May 2016 to witness the Harmony Truck on its maiden journey to promote racial and religious harmony. 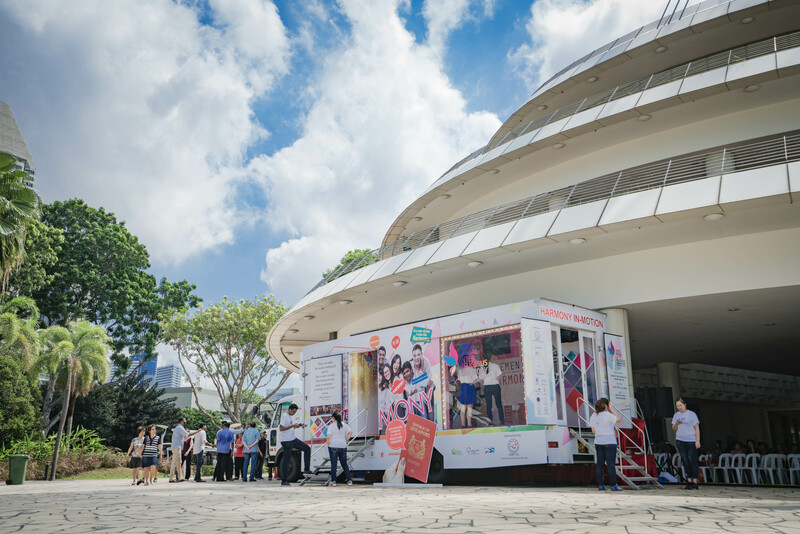 The Truck is an interactive showroom developed by Thye Hua Kwan Moral Society to reach out to Singaporeans from all walks of life. 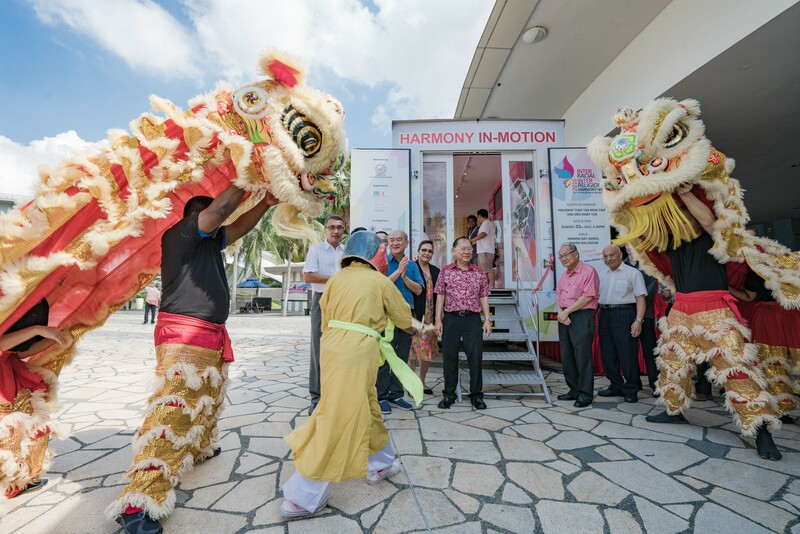 The launch of the Harmony Truck marked the beginning of the Harmony in-Motion campaign where the Harmony Truck made its rounds across the island in a bid to bring the message of harmony into the heartlands. The interactive exhibit showcased video narratives from members of the pioneer generation as they recounted their memories of racial riots and unrest, as well as interviews with foreigners and new citizens on their thoughts on what makes Singapore home. 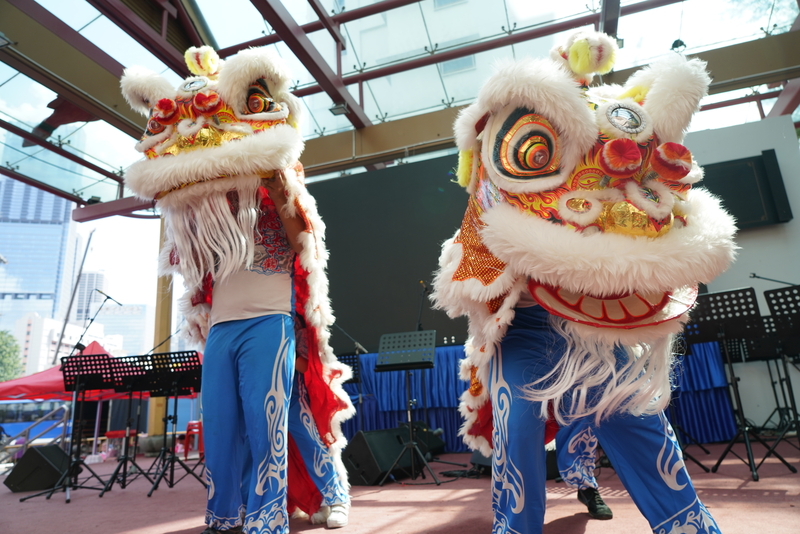 Visitors also learnt about the things that made us uniquely Singaporean, from food and games to the cultures and festivities we celebrate, as well as our religious beliefs. Guests were entertained an array of ethnic performances and fun activities such as Chinese calligraphy and ketupat-wrapping. © 2019 THYE HUA KWAN MORAL SOCIETY. All Rights Reserved.